Today I found myself in a bit of a jam, I had been out running errand for hours and only had 10 minutes to unload the groceries, eat, & get on the road to my next appointment. Has anyone else been there? I was hungry, and had NO TIME to eat! …. 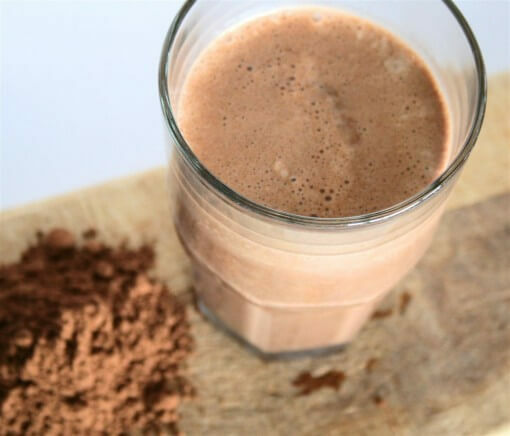 Luckily I had some simple ingredients on hand to make a satisfying protein shake so I thought I would share some protein Shake recipes with you. Whey protein aids in weight loss by supporting your muscle mass and therefore supporting & increasing your metabolism. Whey protein will also help to support satiety so you are less hungry throughout the day. Whey protein supports your immune system by promoting Glutathione production. Glutathione is an antioxidant that the body produces to defend against free radicals. Cysteine, is the amino acid responsible for encouraging this process and is abundant in whey protein. Whey protein promotes long term health by inhibiting the known carcinogen (cancer causing agent), aflatoxin. Go here to read more on the benefits of Whey Protein. Below are a few great tasting, healthy & satisfying recipes. These shakes are great for a “meal on the go.” Also, you will want to use a high performance blender for these- especially for the Apple Pie Shake. I recommend a VitaMix, or equally robust blender. Enjoy! Add ice & water to get the consistency you desire.